Kim Hyesoon is one of the most prominent poets of South Korea. 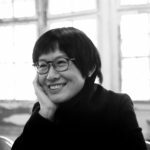 Along with several female poets of the 1980s and 1990s, Kim has developed a new terrain of poetry that has been described as “combative, visceral, subversive, innovative, and ontologically feminine,” and which continues to flourish. Veronica Scott Esposito has worked in the field of translated literature for over a decade. 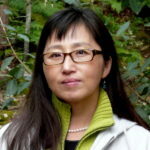 She specializes in Latin American and Mitteleuropan literature. We were very honored to host poet and translator Don Mee Choi in the Two Lines Press offices to discuss her work with Korean poet Kim Hysoon in a conversation with Two Lines Press’s Veronica Esposito. The conversation centered around Choi’s latest translation of Kim’s work, Sorrowtoothpaste Mirrorcream, which was published in 2014 by Action Books, although it spanned the length of Choi’s involvement with Kim, which goes back to the early 2000s and the many translations they have collaborated on. The conversation included discussions of Action Books’ ideas of translation (epitomized in publisher Johannes Göransson and Joyelle McSweeney’s Deformation Zone), the aesthetic of the “gurlesque,” Kim as a feminist writer, and Kim’s overall stance vis a vis K Pop, the history of Korean literature, and international culture. 2:25 Where did you first discover Kim Hyesoon’s poetry? 6:25 Why was Action Books so interested in Kim Hyesoon based off of just two poems in Circumference? 24:30 How does Don Mee Choi translate when she doesn’t understand exactly what Kim Hyesoon means?